If you are staying in Kuala Lumpur (KL) area, how do you buy the popular Aulora Pants with Kodenshi? This article will give you the information you are looking for. Firstly, the slimming and compression legging from Japan brand owner is BE International Marketing located in Shah Alam. 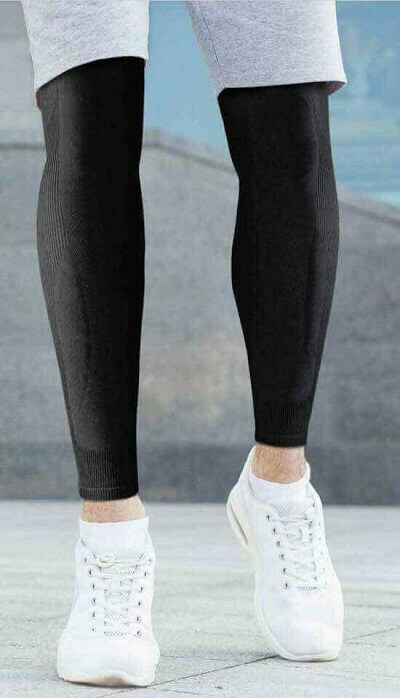 The legging is custom made in Japan using a special material that uses micro ceramic particles to generate far infrared rays. The completed pants are then imported from Japan into Malaysia. Because it is fully imported, you can be assured the garment is of the highest quality. If you want to buy the legging, I would suggest you first register as a member or distributor with BE International Marketing . When you are a member, you can then purchase the pants at member’s price. As an added member’s benefit, you can also receive rebates for your own purchases. Should you buy the pants from online shopping platform such as Lazada, Mudah, 11Street, Amazon, Shopee etc? The company has already issued a notice to the public in regards to buying the pants on 3rd party platform. Do you know the Aulora Pants is also suitable for men? Yes, the pants is actually unisex. Even though the product brochure shows a picture of a woman, the pants can actually be worn by men. A good example is my husband. 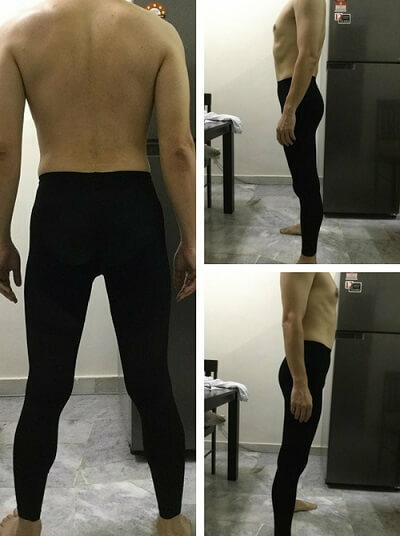 He has been wearing the pants since April 2018 to relieve stiff neck and shoulder muscle. Update: A brand new pants design for men has been launched in Malaysia back in mid July 2018. The men pants is thicker and the cutting is also straighter compared to the women pants design. If you want to buy the legging, first, you have to take a measurement of your height, waist and hip. Then, use the table below to determine the pants size suitable for you. To register for a member’s account, you will need the assistance from one of BE International Marketing Independent Business Owner (IBO). The IBO will help you to register for your member’s account online and place your first order. After your account has been created, you can now place subsequent product orders on your member’s dashboard. As a member, delivery for orders above RM300 within Malaysia is free of charge. Are you interested to buy the Aulora Pants? Is it washable? What about waist 40″. What size? XXL? Price? Hi Lim, thanks for visiting my blog. Yes, the pants is washable but hand wash only ya. No machine wash. Your waist being 40″ is around 102 cm. You can choose size 2XL. In regards to pricing, please send a WhatsApp message to my number above and I will share with you.